If you have picky eaters, it can be a challenge to find recipes they like, vegan or not. I have a couple of picky eaters myself, so I totally understand the struggle. I usually go on Pinterest to find recipes, but sometime it feels like I just see the same recipes over and over again. So I took on the challenge of finding new kid friendly vegan lunch recipes to try with the kids, and I am sharing with you! I want to give a special thank you to all of the bloggers who created these recipes, they are all fantastic! I hope my readers enjoy them as much as I do. Who doesn’t love mac n cheese? This is literally a staple in our house! Yes, vegans can enjoy macaroni and cheese too! 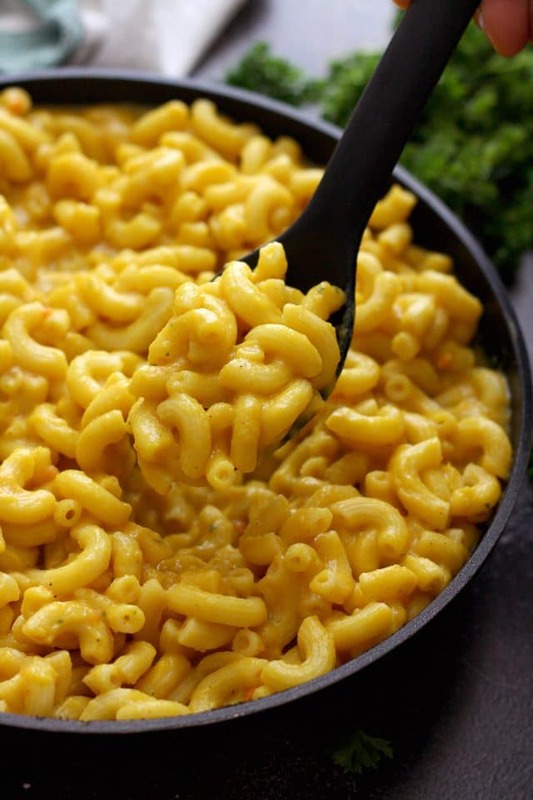 Elena at Happy Kitchen came up with this delicious vegan mac and cheese recipe. Plus, you can put this dish together in 30 minutes! Another recipe from Happy Kitchen! 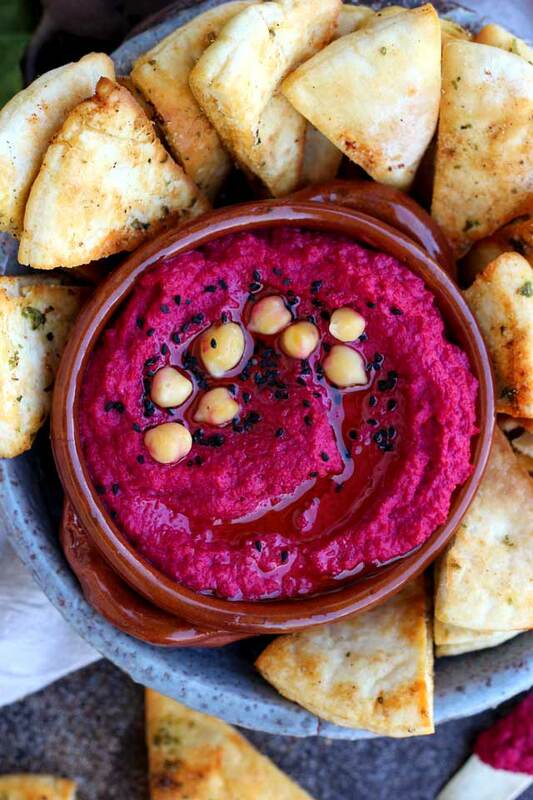 This beetroot hummus and homemade pita chips are not only delicious, but the hummus is beautiful! I think the color makes this hummus super kid friendly for lunch. My daughters love the idea of “pink hummus”. Ice Pops for lunch? Yes! For moms of picky eaters, you are going to love this. Brigitte at Vegan Family Kitchen created these healthy, kid friendly ice pops. 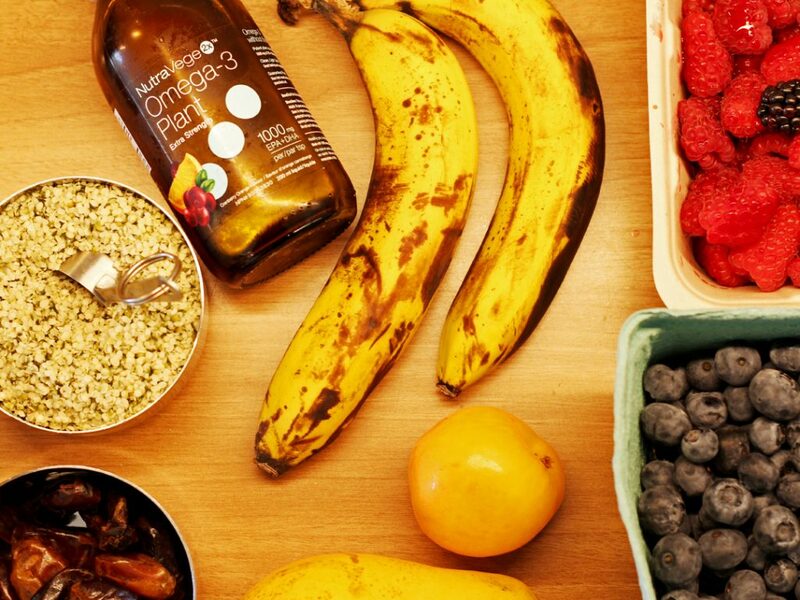 Made with ingredients such as bananas, spinach, and hemp hearts, these healthy ice pops can seriously pass as a well rounded lunch, in my opinion! Make up a large batch, store them in the freezer, and you have premade lunch for on the go all summer long! 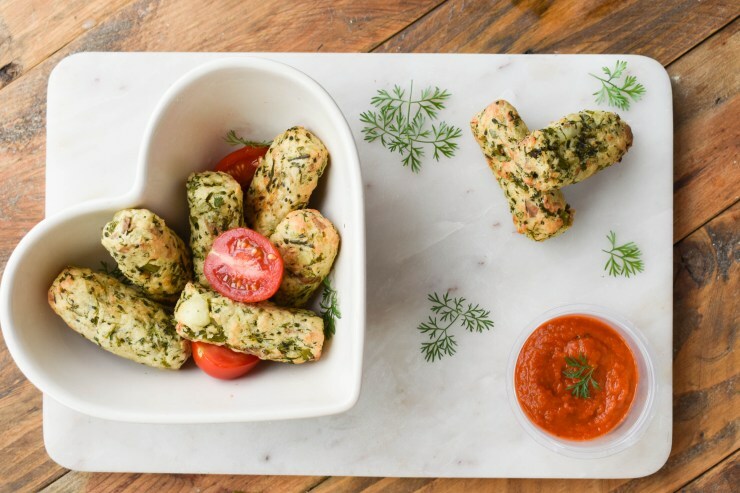 Jenny at Homemade Vegan made these vegan broccoli and potato croquettes – perfect finger food for the kids! These can also be made gluten free and only take 30 minutes to make. I haven’t tried these yet, but I plan on putting these on my meal plan this month! Rebecca at Strength and Sunshine is my hero! Our kids haven’t had a lunchable since we went vegan. They are going to love this idea! 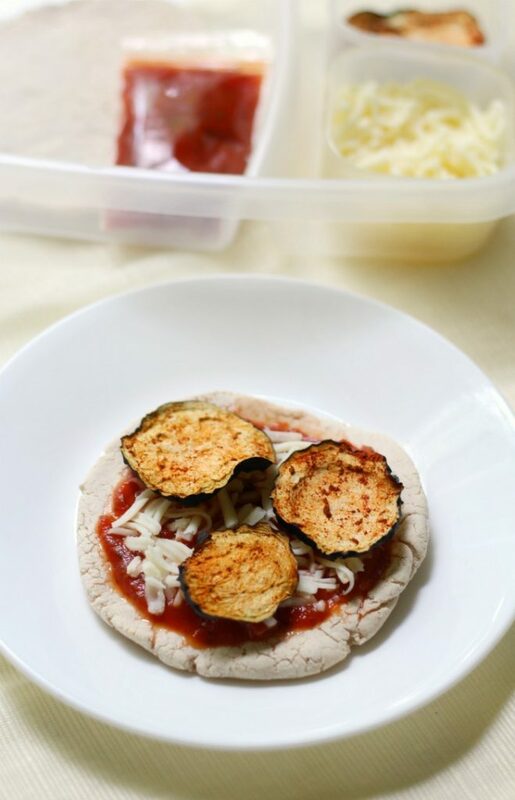 Plus, every kid loves pizza, so the picky eaters will enjoy this one as well. This recipe is also gluten free and grain free. 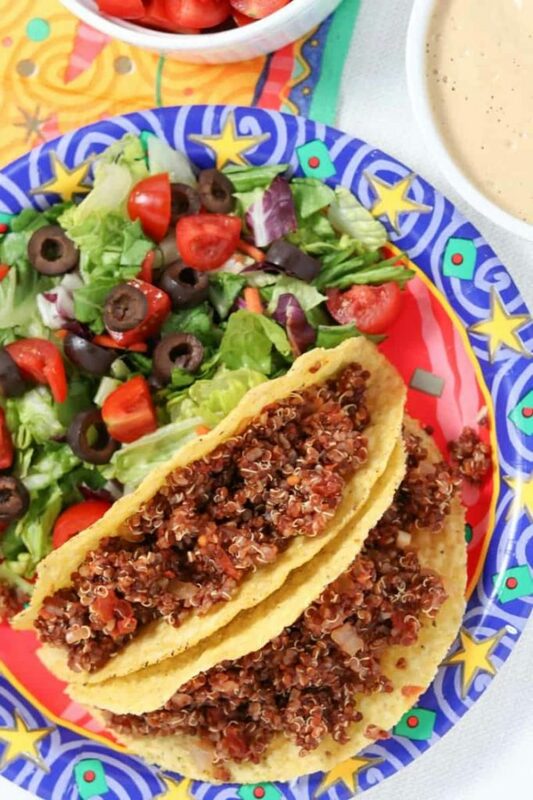 Elizabeth at Healthy Midwestern Girl made these red quinoa tacos for all of us taco lovers. This is another easy 30 minute recipe that is also gluten free and soy free. We eat a LOT of tacos in our house, I will definitely be giving these a try soon! 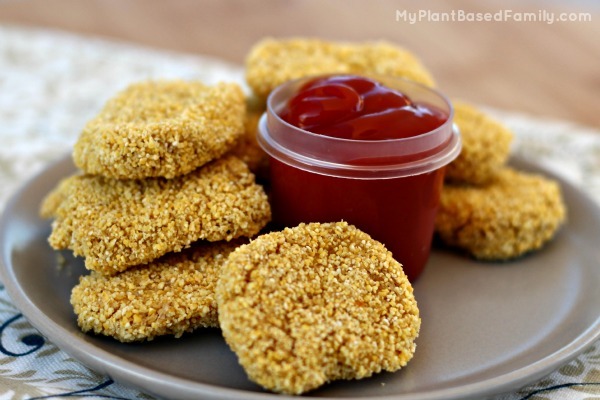 If you love nuggets and are looking for a healthier alternative to frozen vegan nuggets, you need to check out these chickpea nuggets by Holly at My Plant Based Family. The chickpea nuggets are made with just chickpeas, bread crumbs, and seasonings. They would be great for a lunch or a snack. 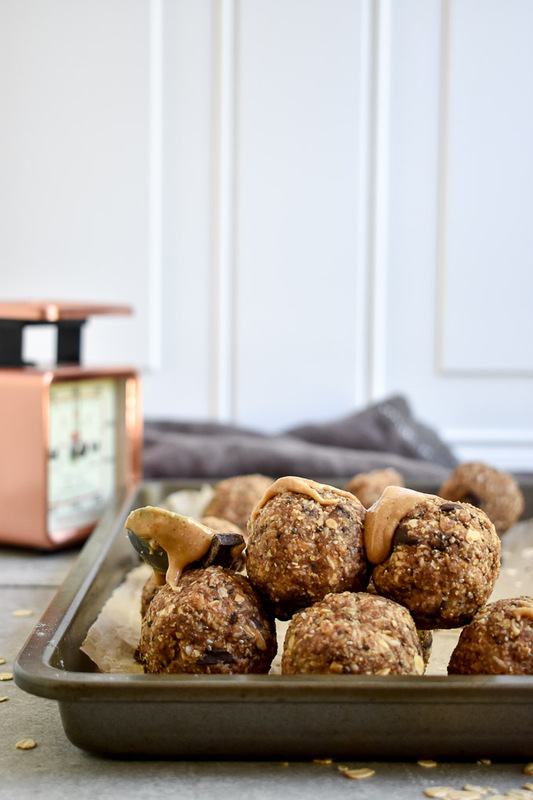 The peanut butter protein bites by Shane over at Shane and Simple are quick, easy and healthy. Made with just 8 ingredients, they make a simple lunch for the kids, or you can serve them for a snack or breakfast too. When I was a kid, I loved egg salad sandwiches. I’ve tried vegan versions made with chickpeas, and it didn’t really do it for me. Becky at Glue and Glitter came up with this tofu salad sandwich recipe, and I must say I’m impressed. I have used tofu to make scrambled tofu, and have been satisfied with that as a scrambled egg replacement. I think a tofu salad is the perfect substitute for egg salad sandwiches. Alissa at Connoisseurus Veg took hot dogs to a whole new level. 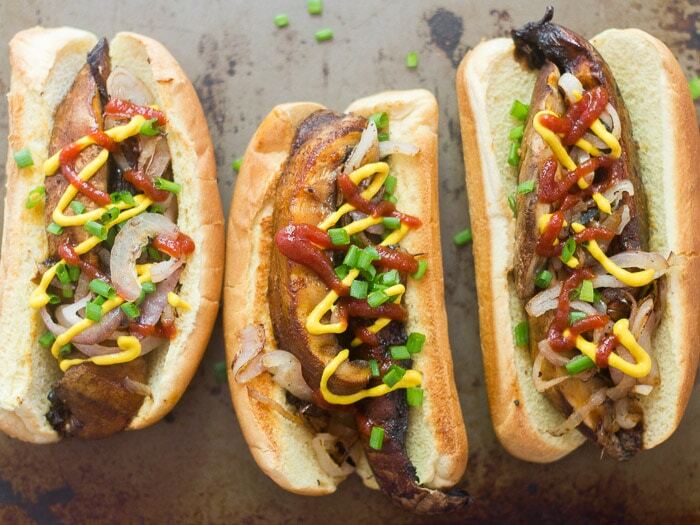 I love this idea of using portobello mushrooms as a vegan hot dog replacement. Plus, they are super simple to make and don’t take a ton of ingredients. I think grilling the portobello on a grill in the summer would make this dish perfect for a summer BBQ. 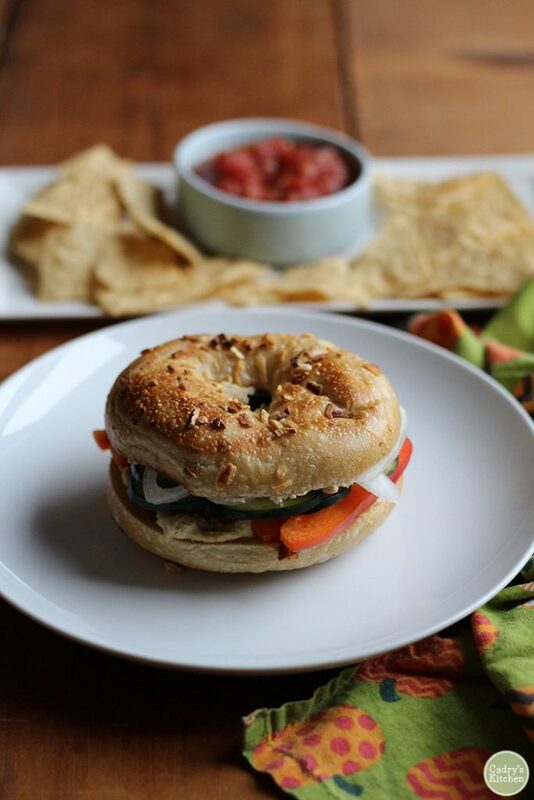 Cadry at Cadry’s Kitchen came up with this super easy bagel sandwich recipe. I love this recipe! 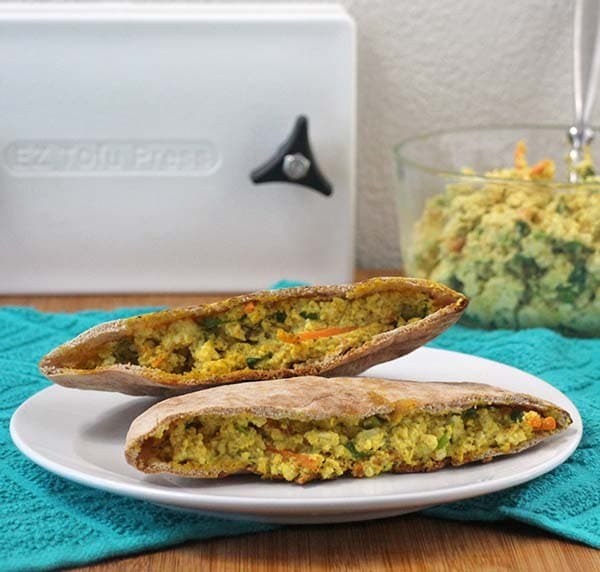 It’s made with bagels, hummus and fresh veggies. It really can’t get any easier than this! This recipe would also be great for lunch for the school kids. These calzone dippers are a great twist on pizza! 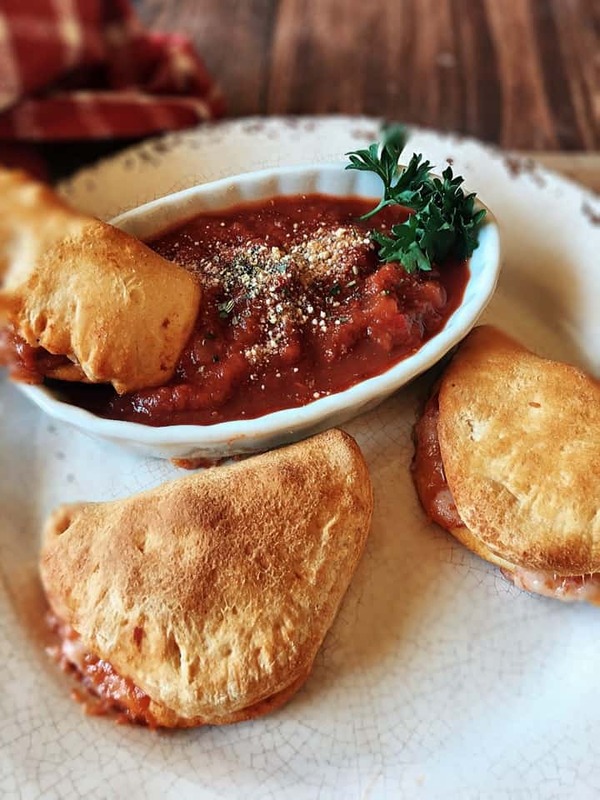 Cindy at Veggie Fun Kitchen created calzone dippers that are super easy and take no time to make. The kids will love this one! This recipe is pure genius! 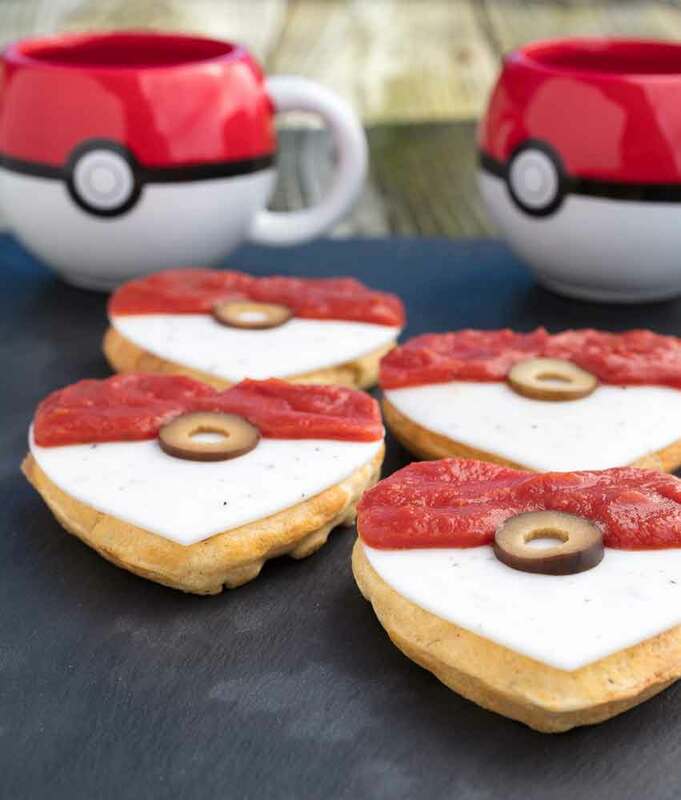 Vegan Dollhouse created these pokeball pizza waffles. The waffles are made from scratch, topped with a white vegan cheese, pizza sauce, and an olive slice in the middle. This could be a fun recipe to make with the kids, or for birthday parties and class parties. To wrap up this roundup, my last kid friendly vegan lunch recipe is one of our own. 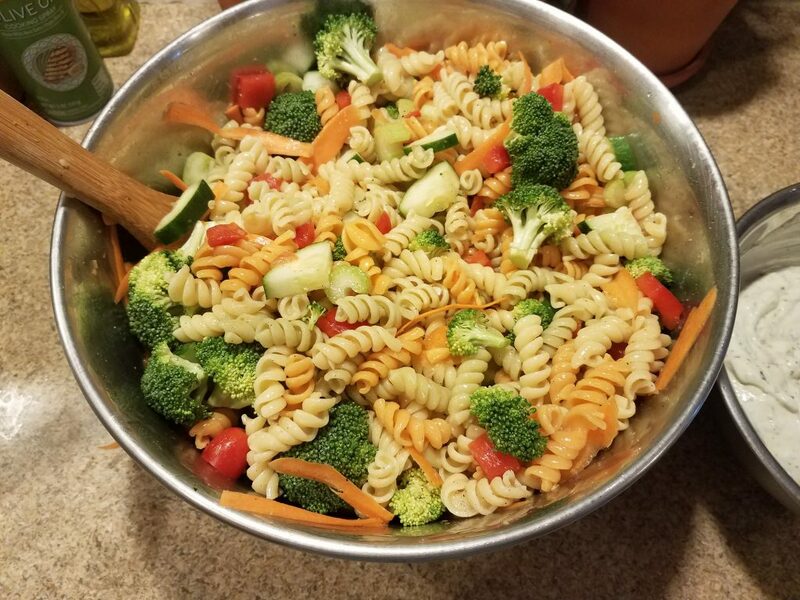 Our veggie pasta salad is a favorite in our house. 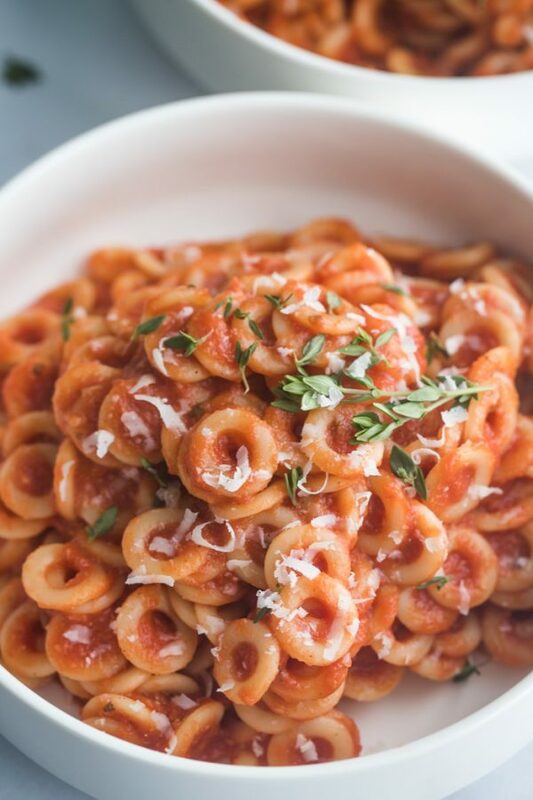 We make this frequently, and all of the kids love it. It’s such a simple recipe, and our vegan ranch recipe goes great with the pasta! 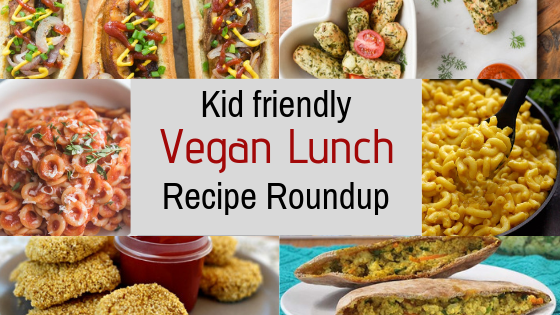 Which of these kid friendly vegan lunch recipes do you want to try? Let me know in the comments!